Afropop band Zansa is releasing their debut album Djansa, with a live performance at Isis Restaurant & Music Hall on Saturday, September 7, 2013. More details about the show are here: http://bit.ly/17hTGGc. 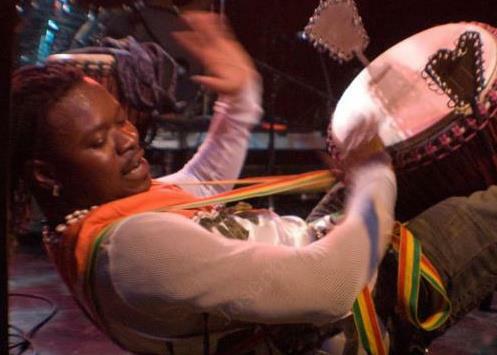 Senegalese griot musician Diali Cissokho and his band Kaira Ba will be opening the show. Robust and rhythmic, melodic and smooth, the music of Zansa presents a dynamic synthesis of centuries’ old West African songs and modern instrumentation. Zansa is a Nouchi slang word meaning “blend,” and the group’s debut album, Djansa, meaning “dance,” delivers a dance party vibe with a folkloric storyline. 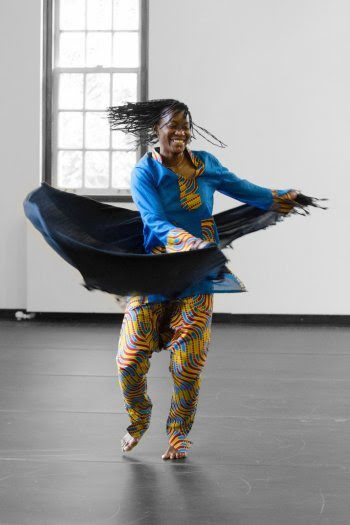 Based in Asheville, NC, Zansa is led by Adama Dembele (lead vocals, djembe, and percussion), a 33rd generation musician from Ivory Coast, whose ancestry is recognized throughout West Africa as the House of the Djembe. Along with Dembele, Zansa is Patrick Fitzsimons on guitar and vocals; Sean Mason on the drumset; Ryan Reardon and bass and vocals; and Matt Williams on violins, guitar, and vocals. Djansa is being released nationally online (iTunes, Amazon, CD Baby) and in select record stores on September 10, 2013, with performances throughout the Southeast to follow. Pre-order Djansa on iTunes and immediately receive “Mi Wa” single for free. Stay tuned towww.zansamusic.com for more information. Mi Wa: A love song, about love near and far, and love lost and found. Light of my heart, light of my life. Even if I leave, far away from you. You still know without you my life doesn’t make sense. With your love you make me happy, my natural beauty. You’re my love, you’re my joy. You spoiled my life with your choice. You know without you baby my life doesn’t make sense. Your love just makes me happy, my natural beauty. Lumière de mon coeur, lumière de ma vie. Meme si moi je vie, loin de ta presense. Music Video recorded and produced by Dark Energy Pictures. 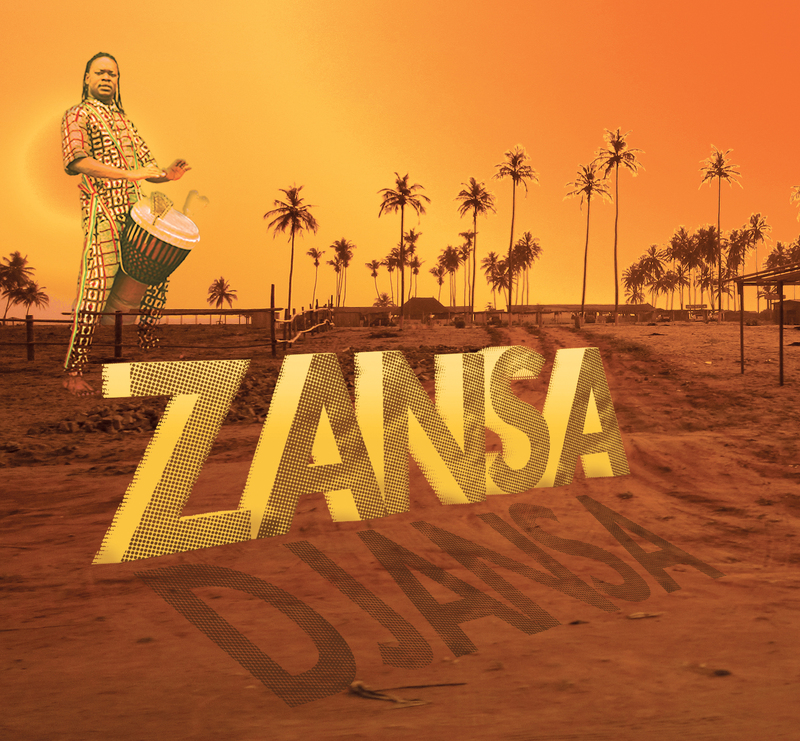 Afropop band Zansa is releasing their debut album Djansa, with a live performance at Isis Restaurant & Music Hall on Saturday, September 7, 2013. Senegalese griot musician Diali Cissokho and his band Kaira Ba will be opening the show and their will be African inspired dinner specials created by Chef Mike Mahoney. 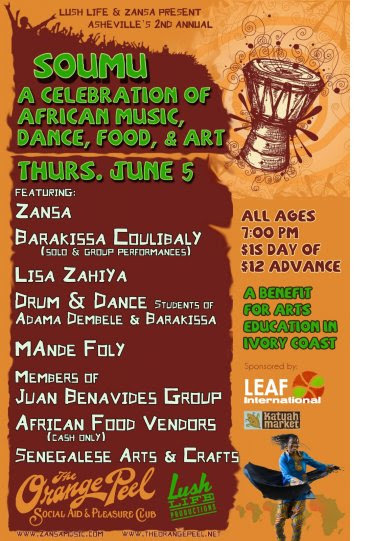 Based in Asheville, NC, Zansa is led by Adama Dembele (lead vocals, djembe, and percussion), a 33rd generation musician from Ivory Coast, whose ancestry is recognized throughout West Africa as the House of the Djembe. Since the 12th century, oral storytelling musicians/historians known as griots have carried forth the Dembele name and recognition as masters of the djembe. 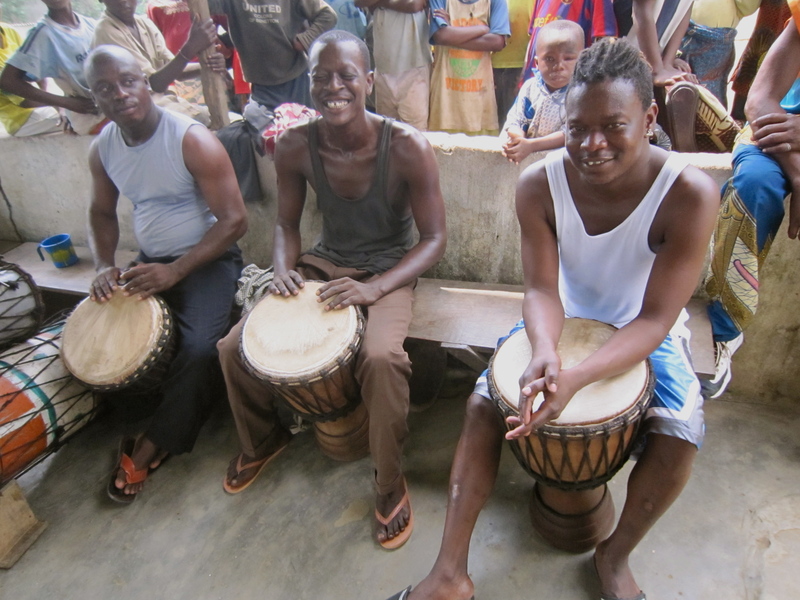 Today, drummers from across West Africa still study under the Dembele family in the Ivory Coast. 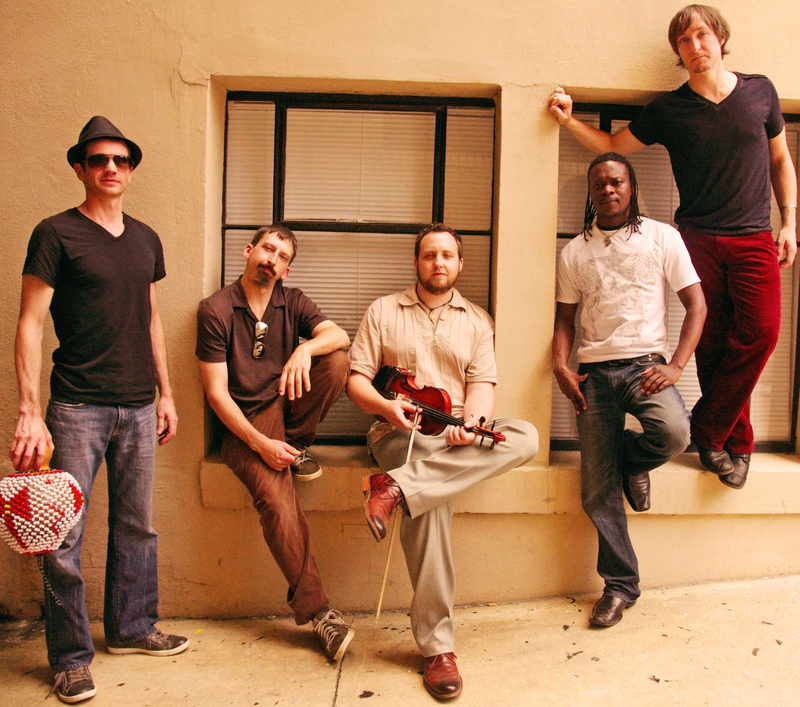 Adama moved to the United States in 2008 and has since performed alongside other West African-influenced bands, including Afromotive and Toubab Krewe. Zansa is Dembele’s debut outfit, offering songs that are influenced by modern Zouglou beats and traditional African stories, sung in French, Bambara and Baoule dialects, as well as English. The album, Djansa, marries Adama’s West African drumming traditions with modern instrumentation and song forms. While the djembe drives the rhythmic component, the violin plays a unique role as a lead melodic instrument, echoing the soku, a one-string predecessor that originated in Mali. Electric guitar, bass, percussion, and drum set lend familiarity to foreign sounds. “Many of the songs are from old stories I grew up with, such as the legend of Donsson, the hunter,” says Adama. 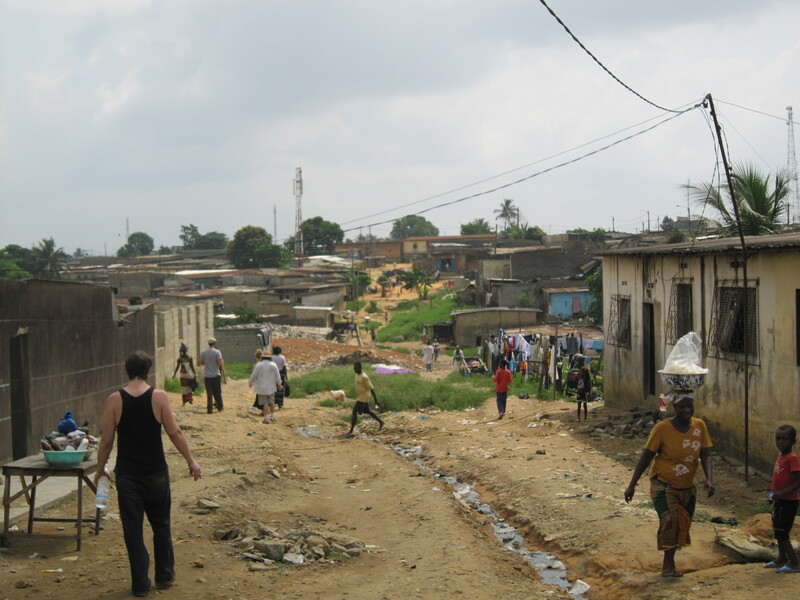 “We sing about love and celebration, respect and understanding, and we play hard.” This cultural and sonic mix offers an original take on the authentic music of West Africa. 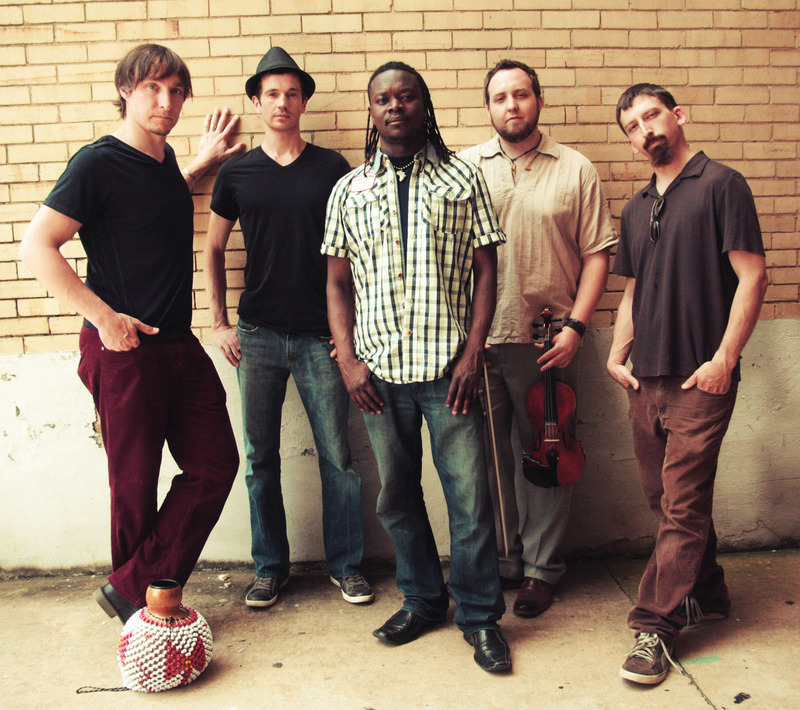 Along with Dembele, Zansa is Patrick Fitzsimons on guitar and vocals; Sean Mason on the drumset; Ryan Reardon and bass and vocals; and Matt Williams on violins, guitar, and vocals. Djansa is being released nationally online (iTunes, Amazon, CD Baby) and in select record stores on September 10, 2013, with performances throughout the Southeast to follow. Pre-order Djansa on iTunes on Aug 13 and immediately receive “Mi Wa” single for free. Keep an eye out for the debut of the “Mi Wa” music video the same day. Stay tuned to www.zansamusic.com for more information and links to pre-order the album.